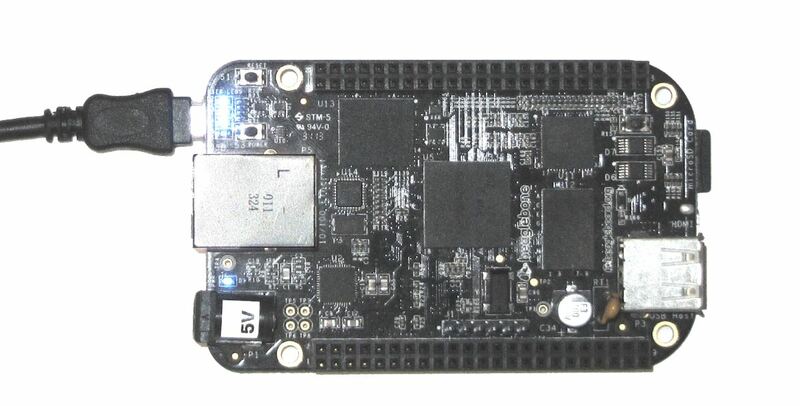 This tutorial shows how to setup your BeagleBone Black board to run the Debian Stretch distro. 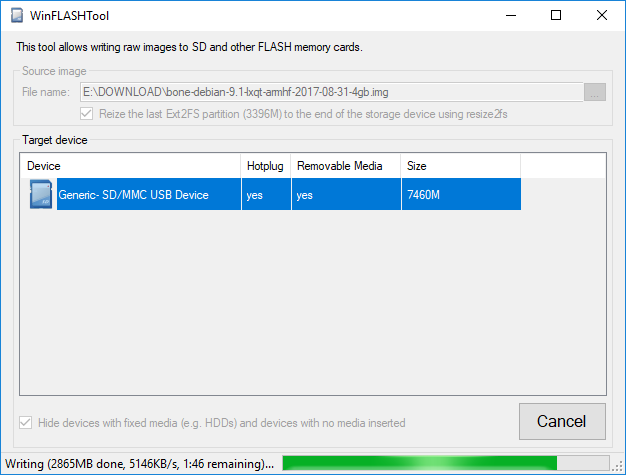 Unlike the previous SD card images, the Stretch image does not work out-of-the-box and requires a minor adjustment and this tutorial explains the necessary steps in detail. 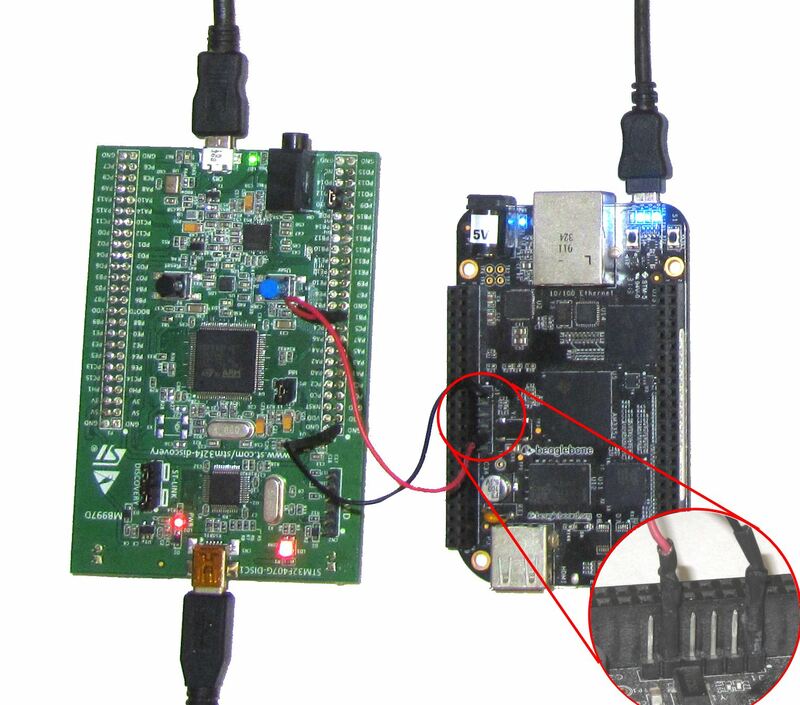 Download the latest image from the Beaglebone Image Catalog. 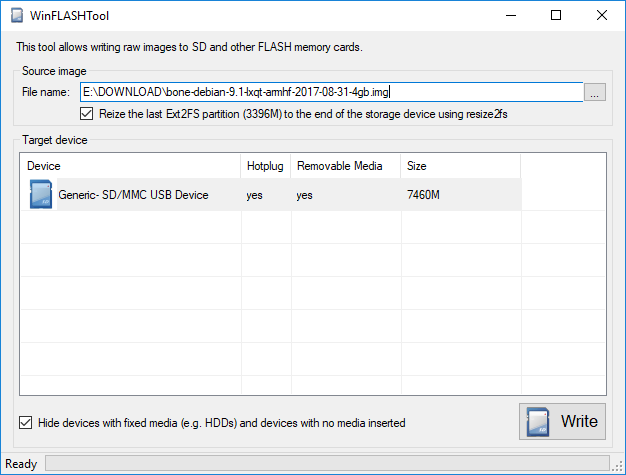 Download and unpack WinFLASHTool that will be used to write the SD Card images. 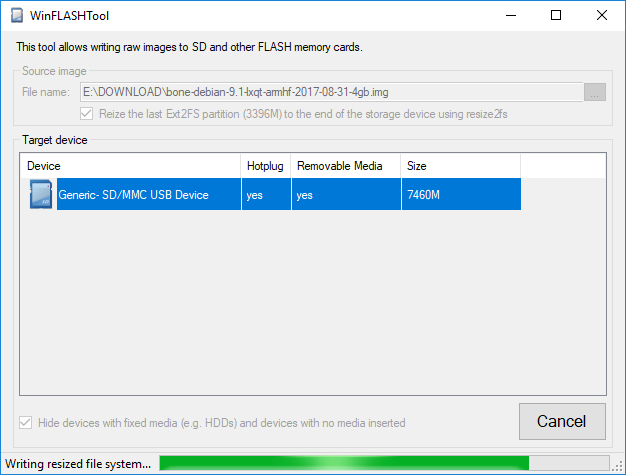 If you try inserting the SD card into your Beaglebone and starting it, the 3 user LEDs near the USB connector will turn on and the board won’t boot: Unlike Raspberry Pi that always shows the debug console via HDMI, the Beaglebone’s HDMI output will remain blank. 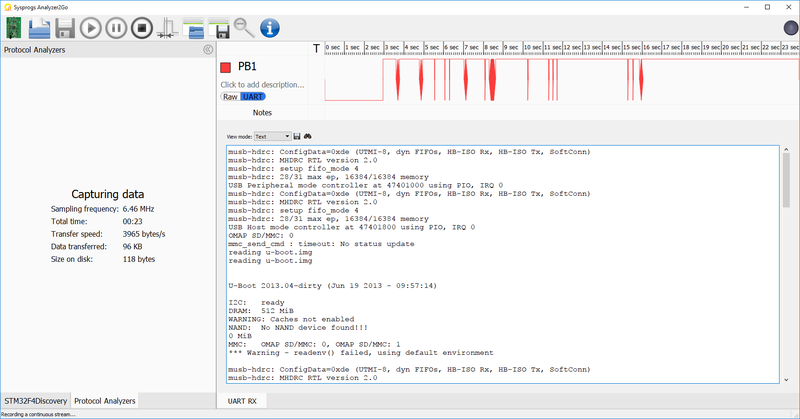 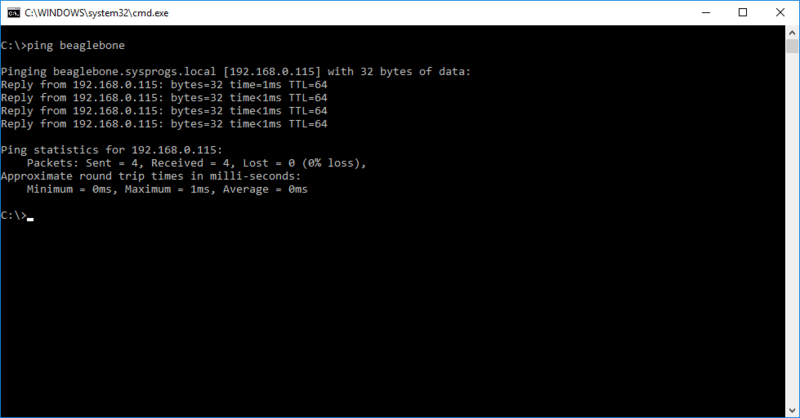 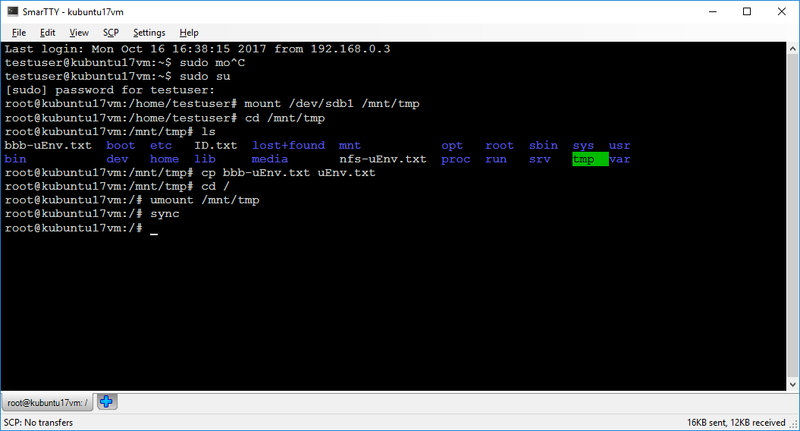 We will now show how to read the diagnostic output from the on-board UART port. 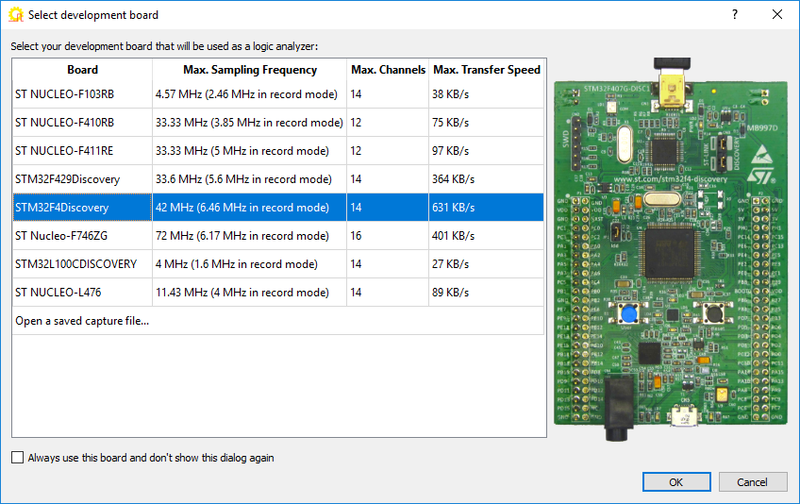 Once your connection to Beaglebone works, you can follow this tutorial to create a basic project from Visual Studio.